This experience happens in arena B! 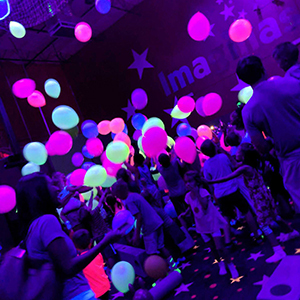 Turn off the lights and turn on the GLOW lights and black lights before we drop over 150 balloons from the ceiling!! This is NEW and a customer favorite. ***This experience does not include GLOW necklaces. Perfect for any age! 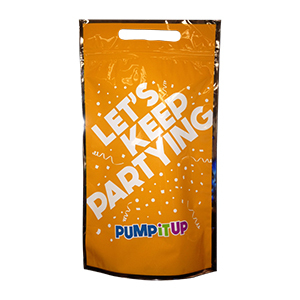 **NEW** at Pump It Up! INTRODUCING NEWLY ADDED GLOW LIGHTS!! 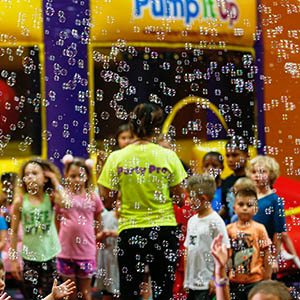 Book your kids birthday party today and add the Glow feature! Fun for all ages! 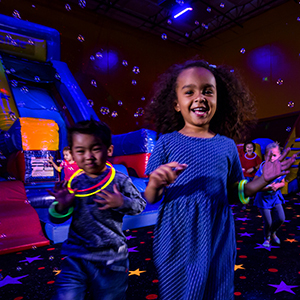 Arena A is a lights on experience, while Arena B is where the GLOW fun happens! Children in party are each given a GLOW-in-the-dark necklace before rotating into Arena B. Tell your reservationist you want to "ADD GLOW!" 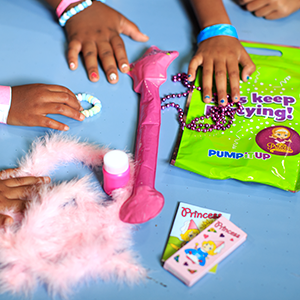 Want your birthday child and their guests to feel like celebrities? 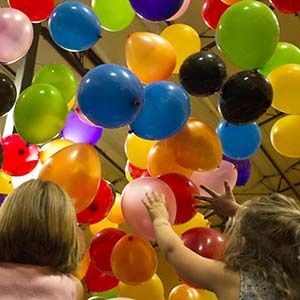 Try our new balloon drop with over 100 balloons dropping from the ceiling! Fun for any age!